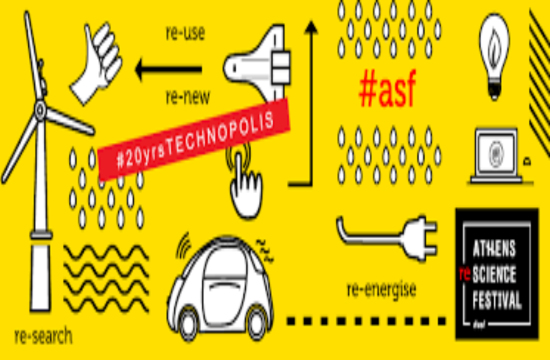 The General Secretariat for Research and Technology of the Ministry of Education together with the Science Communication-SciCo, the British Council, the Technopolis of the City of Athens, the Onassis Foundation Scholars Association and the Ministry of Environment and Energy, present the 6th Science Festival and Innovation 2019 – Athens Science Festival 2019, at Technopolis, from April 3 to 7, 2019, int.ert.gr reports. This year, the festival’s slogan is “Change is coming! – Something is changing!”, and it focuses on the protection of the environment as well as sustainable development. The major societal challenges, the depletion of natural resources, the hunger and water scarcity, the energy poverty, the environmental degradation and climate change, require growth paths based on knowledge and technological innovation for a Society of Knowledge. In this context, research centers and technology organizations will introduce us to the technology of the future, by presenting original constructions and innovative discoveries, through experiments, competitions, workshops for children and adults, interactive exhibitions, artistic creations and speeches delivered by renowned scientists.